Local Churches and Missions Agencies: Competitors or Partners? One of my sons and his wife attend a very good local church, one that has provided a spiritual home for this former YWAMer, a place to grow and exercise their spiritual gifts and to find friendship with like-minded Christians. I am delighted with the church they have found and recently attended, along with other members of my family, a very good Sunday meeting there. But his loyalty was tested a bit by a recent article in the magazine that is produced by the network that his church belongs to. In it, an author made an argument for all mission agencies and other “para-church organizations” to close down because they are a hindrance to the health of the Church. That old argument gets re-cycled every few years and I will come back to it later in this article. Not long after that I spoke with a friend of mine who told me about a book that was recently co-authored by a YWAM leader in which he apparently says that he sees no reason why he or other YWAM staff and students should attend church. I haven’t managed to get a copy of the book yet, so I won’t comment on the book itself, but the subject clearly needs to be addressed because that is a violation of one of the foundational values of YWAM. I am not surprised that this tension between local churches and mission agencies continues to surface from time to time, because the healthy cooperation of local church and global mission is a major threat to the kingdom of darkness. So I think it is important to lay a foundation of Biblical and historical thinking for the existence of these two major branches of the Church and why their partnership is so important and has such potential for power. Any discussion on this subject must begin with an attempt to define what church is. This undertaking is fraught with pitfalls and ambushes because no subject has created more division in the history of Christianity. Nevertheless, here is my attempt! “The Church is people obeying Jesus together.” My friend, Roger Forster, Bible scholar, teacher and apostolic leader gave me that definition many years ago and I have not heard anyone improve on it. Our tendency, however, is to add conditions and especially organizational or structural prescriptions to that definition—and that is when we begin to take sides and argue with each another. When you stop to think about it, many denominations are founded upon some prescription about how the Church is meant to be organized. Should it have elders or just pastors and deacons? Should it have bishops, archbishops and synods or is each local church sovereign? Should local churches be governed by all-male leadership teams, or can women exercise governmental authority? Should the entire congregation participate in important decisions or should the elders or pastor make those decisions? Is the pastor subject to the elders or the elders subject to the pastor? The list of issues is probably endless and periodically another movement emerges with a “new revelation” about how church should be organized or structured. They usually think, by implication, that all other expressions of the Church are, at best, second rate. There is a reason why we have so many different opinions on this subject. Jesus specified almost nothing about how the Church should be organized. Then, when we read the narrative about how the disciples went about “doing Church”, there aren’t many instructions. We read the stories in the book of Acts and then the letters to the churches, but we don’t get very many commandments about how to organize the Church. I think there is a very important reason for that: The Church is about people obeying Jesus together, not about how it is organized. All organization is para-church. (Para means alongside, so para-church means something that works alongside church.) I believe God meant the Church to be adaptable to all cultures and all stages of social development so He designed great flexibility into how the Church can be structured. In some times and some periods of history, vast congregations can be very fruitful with their large buildings and complex staff and management structures. At other times, small groups meeting in homes, linked together by traveling pastors or teachers have been the most effective structure. Any time people try to do anything together, some organizational structure is required. But the nature of that structure is not the essence of the Church. People obeying Jesus together is the essence of the Church. Structure is simply meant to serve the Church’s purposes. In fact structure is always at its best when it is pragmatic and flexible. When we get hung up on structural prescriptions, history suggests that the structures become idolatrous and hinder the growth and maturity of God’s people and more often than not, become a source of division in the Church. To state it even more clearly, you are in the Church and I am in the Church, not because I go to a particular kind of organization. We are being Church when we obey Jesus together. We cannot be so arrogant as to say that one kind of structure is “better church” than another because of the way it is organized. It is “good church” when it helps people come to faith in Christ, grow into maturity and express the life of Christ to the world. Organizational structures that help achieve that end are good. Organizational structures that hinder that end should be changed. We might picture it like this: The way we organize a group of believers can be compared to the scaffolding set up around a building in need of repair. The scaffolding enables us to strengthen and renew the building where ever it is required but the scaffolding is not the building. From that time on they traveled as a team—sometimes a large team and sometimes a small team—preaching the Good News, establishing churches, strengthening them but working within a team structure rather than the organization of any one local church. They were often temporarily within a local church as they built it up, but then they moved on in their team. From New Testament times, God’s people have been found within two broad streams, local churches and trans-local organizations such as evangelistic associations, mission agencies, aid agencies etc. In the Roman Catholic and Orthodox expressions of the Church, parishes and orders have existed from the fourth century. It is important to note that the protestant reformation did not have a significant trans-local (or extensive) expression for the first 200 years. During that time it did not grow beyond the geographical confines of Europe. Then, with the advent of denominational mission agencies and then interdenominational agencies, protestant Christianity has grown dramatically around the world. Today, many very large local churches, sometimes called super-churches, are initiating mission’s efforts from their own congregations. Like Youth with a Mission four or five decades ago, they are new, have great potential and will learn a lot. YWAM and other agencies should welcome this development, and offer partnership where ever we might be of assistance. Toward the end of the 19th century, a dynamic spiritual renewal movement emerged and became know as the Brethren. Like many other renewal movements, they emphasized certain organizational characteristics (lay leadership, plural eldership and local church sovereignty) and taught that the only valid organizational expression of the Church was local churches of their particular type. Although their movement is not numerically strong in the 21st century their ideas about the structural nature of the Church have been widely influential. As a result, many Christians today have been taught that only local churches are Biblically legitimate and that all other organizational expressions of the Church should be disbanded. Although this view claims a Biblical rationale, any effort to find prescriptions for Church organization in the Bible will quickly cast doubt on the validity of any and all expressions of the Church today. Although it is fair to say that the Bible does not describe anything like today’s missionary societies, neither does it describe the existence of many different local churches within a given town or city, or denominational structures, or networks of churches, or Bible training colleges, or even church buildings…the list goes on. I will summarize all this by saying that the Church today, as throughout history, has a very wide range of organizational expressions, but they fall into two very broad categories: those whose aim is to work out the Christian faith locally and those who aim to spread the Good News to new places around the world. Given that these two broad streams exist, the important thing is how they serve one another. The Church is always at its best when the local churches send their best to take the Good News to what the Apostle Paul referred to as the “regions beyond”, and when the extensive expressions of the Church focus on establishing and strengthening local churches. This partnership is the one that God has chosen to change the entire world! So that is why it is important that YWAMers and any other members of Christian organizations should be active members of local churches. Even though their travel schedules and other ministry obligations might limit their participation, they should demonstrate a sacrificial commitment to the health of their local church. Their faith should be expressed in the place where they live through a local body of believers. And that sacrificial service should, hopefully, make it easier for local church leaders to see the importance of sending those who are called out from their church to world mission. 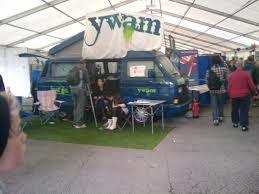 YWAMers have no reason to be unsettled by those who question the validity YWAM. But we also have no excuse to not be committed to a local body of Christians! Thanks Lynn, everyone needs this clarifying reminder that there’s a place for all in the kingdom of God, and we all need each other. Great piece and very helpful. Thanks Lynn! It’s funny, but the day before receiving this I was in a long discussion with the Asian Director of Wycliffe about this very subject of how missions agencies should be relating to the local church. Thanks again. Looking forward to seeing you in Munich! Thanks for your insights Lynn As responsible of representing YWAM in a national realm in the country I serve, I can testify that following the guidelines that you mention (I did it for the last almost 30 years) is a blessing for the Kingdom. Because of that approach we could participate in developing an Strategic Planning for Discipling the country (you read well) … There come an agreement including the heads of the biggest denominations of the country, to invest the next 3 years in establishing a solid prayer network, establish a Biblical worldview and strong involvement to strength the families. Imagine you can smell the YWAM flavor in these words. Well, that happens because you describe in words what our experience was. Of course many other concepts of the article raised an amen in my heart. GBY. When you say the word “church” to most people, they probably will think of these things: A building with a large room & rows of chairs or pews…worship team (singers, musicians)…lead singer…Sunday School…ushers… robes… sound system…banners…a cross …a pulpit …a projector…Wednesday night service…choir…stained glass…altar calls …sinner’s prayers…steeple…preacher standing, congregation sitting…religious art… spotlights…time limits for services. But not one of these things are mentioned in the Bible as existing or taking place during church meetings. I love your definition of church: people obeying Jesus together. Be fruitful and multiply. Local churches are designed to grow and send out missionaries who plant new churches, train and appoint elders to lead them, which grows and sends out more missionaries. Thus the church continues to reproduce like families reproduce over and over again, as in Acts 13 when the Holy Spirit instructs the church in Antioch to “set apart Barnabas and Saul for the work to which I have called them.” Churches are made to reproduce by sending teams out. IRIS, YWAM, others could do this thru local churches, to reach regions quickly. Planting in homes is much faster without the expenses of a building, and relational discipleship is more simple in smaller churches, who occasionally met as larger groups, the pattern in the early church.